The Motion is a multi purpose light work chair ,the pivot mechanism is intuitive to the users movement and removes any operating complexity, the only mechanism required is the adjustable gas lift. 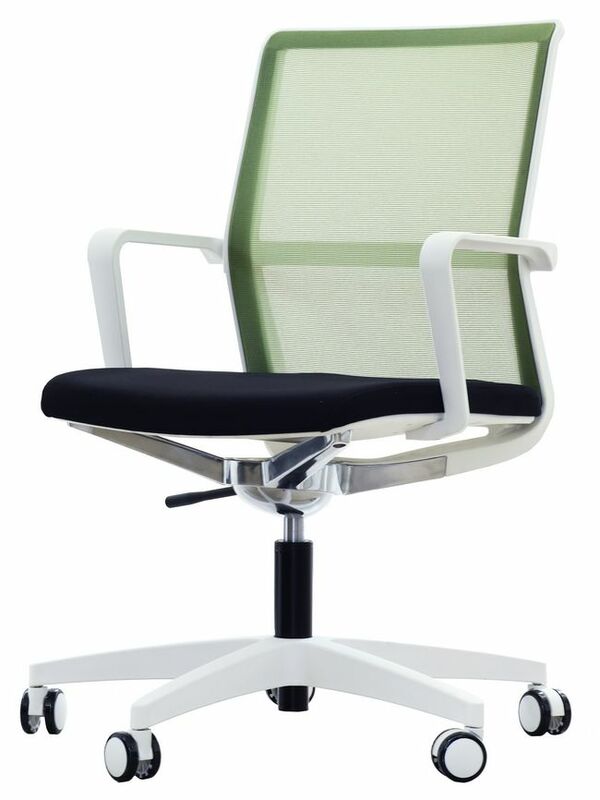 The Motion Chairs come in a standard range of Mesh back with Fabric seats or Fully Upholstered. The frame is available in black or off white with a matching 5 star base or a polished chrome option is avalabile.